We have pool of iPad developers with talent, skills, creativity, and profound experiences. We have specially trained our iPad development team to do thing absolutely align to the tablet contexts and experiences. Therefore, we never do only 2X iPhone app development for iPad apps. Our iPad developers understand the differences between iPad and iPhone app development paradigm in relation to touch gesture, hardware specific properties, different user behaviors, and altogether unique use-cases for iPad. Apple’s iPad remains one of the most popular consumer devices – iPad app development is the ideal way to reach your target audience, particularly if you’re marketing to consumers and not business users. Our iPad app development solutions take you from zero to full rollout without any stress or confusion, and our iPad application development company truly makes a difference not only in the design and build process, but in your total experience. Our native iPad app development services ensure that your app is polished, flawless and capable of taking advantage of the features offered by iOS. Not only that, but we also ensure that your app maximizes the use of available hardware – Apple’s iPad continually pushes new boundaries in terms of hardware and functionality, and those can provide you with the means to build a truly unique app when leveraged correctly. That’s where Openxcell comes in. From harnessing the ability of the accelerometer to the new capabilities introduced with each successive iOS generation, Openxcell is your iPad app development company. No iPad application development company can offer robust, industry-leading, innovative solutions and services without an amazing team. That’s what we’ve assembled. They’re results-driven and technology obsessed. 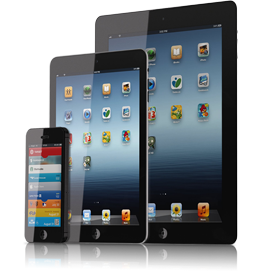 Our team is comprised of industry veterans with years of experience in iPad app development, testing, design and more. Our large team allows us to do everything in house. We never outsource. That lowers the costs to you, and ensures that you’re dealing with an end-to-end provider. Another reason that Creative infoway stands out from other iPad app development companies is our range of services. We offer strategy, design and development, but we don’t stop there. We can also promote your app and ensure that it gains the traction necessary for visibility and success in Apple’s App Store, and through other outlets that drive traffic to the App Store. No iPad app can be successful without the right plan underpinning its rollout and lifespan, and that’s what Creative infoway offers. We’re with you for the life of your app and beyond.